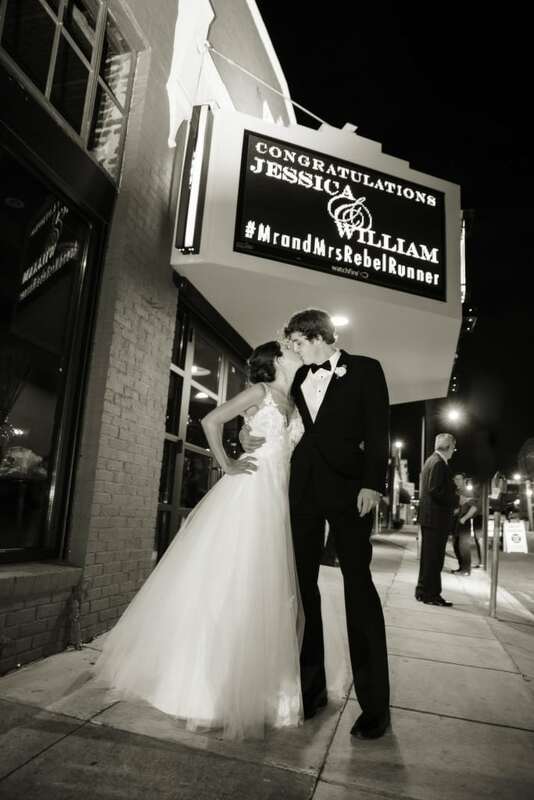 Jessica’s wedding is proof of how quickly time flies in the wedding planning process. 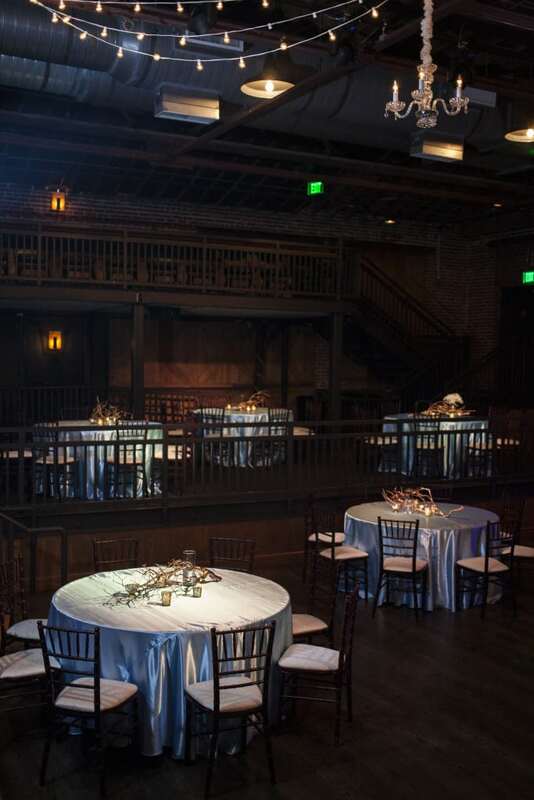 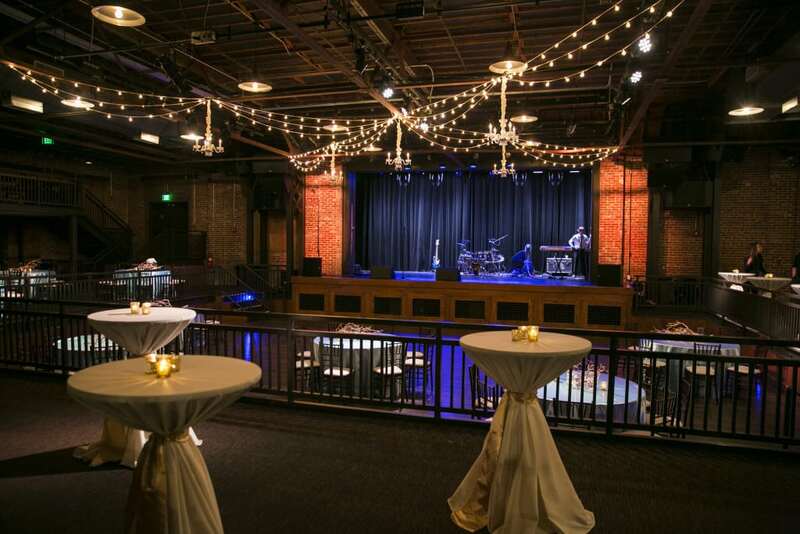 Jessica’s mom, Donna, contacted us in early September to sit down for a discussion about table linens for Jessica’s March wedding reception at Iron City Birmingham. 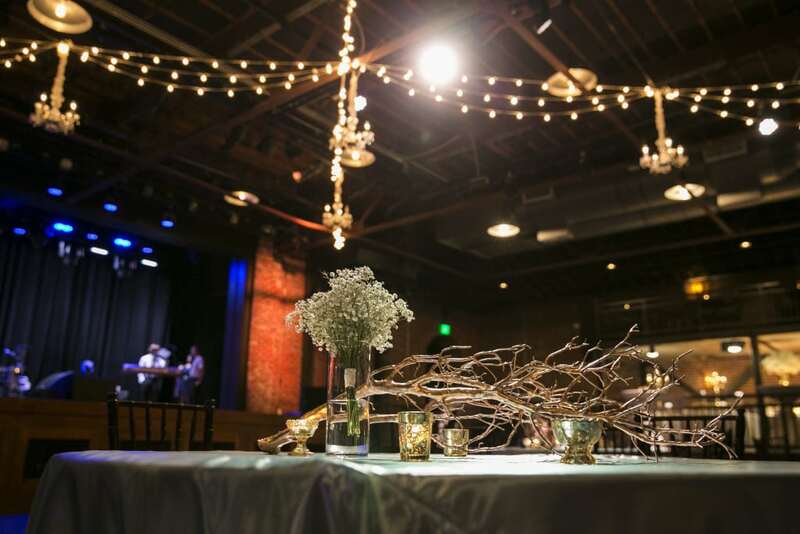 We met for coffee one Sunday afternoon, at O’Henry’s, and discussed her love of light blue paired with gold accents. It felt like just a few weeks later we were finalizing plans for their beautiful night! 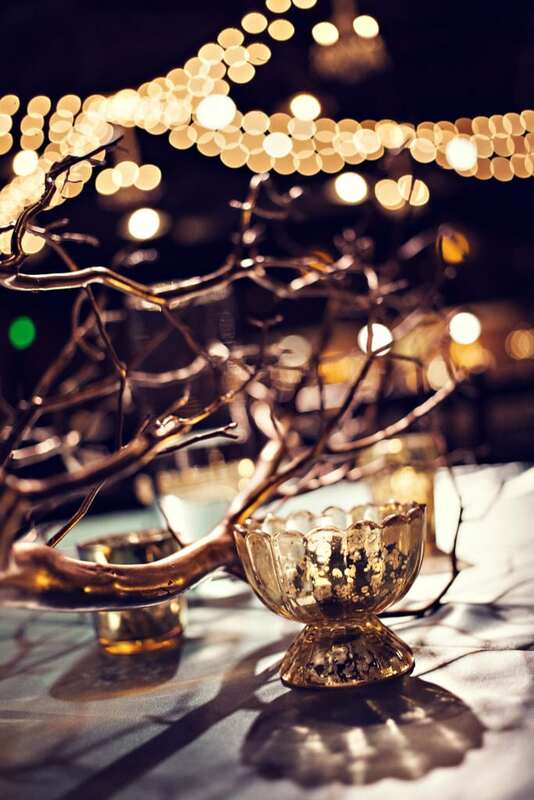 I was in love with her vision and even more so when I heard that Hot House Design Studio would be providing the table arrangements. 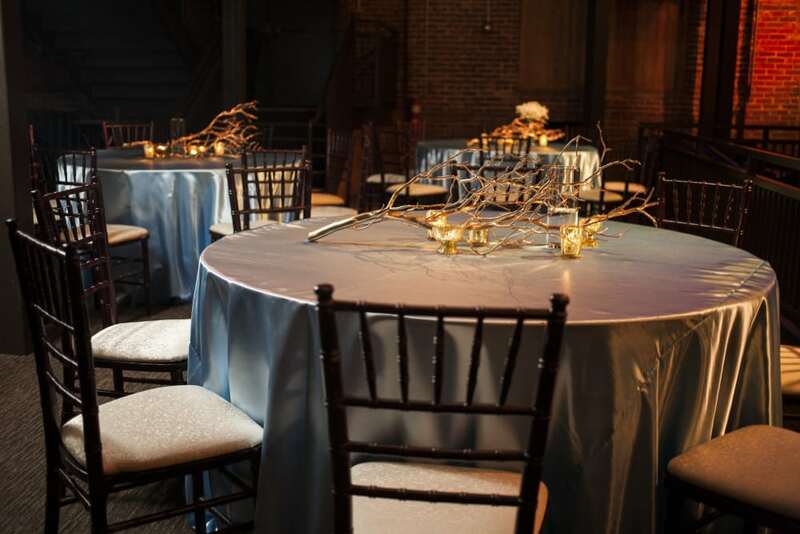 We decided on light blue satin linens for her guest seating tables and white linens with gold satin sashes for her highboys. 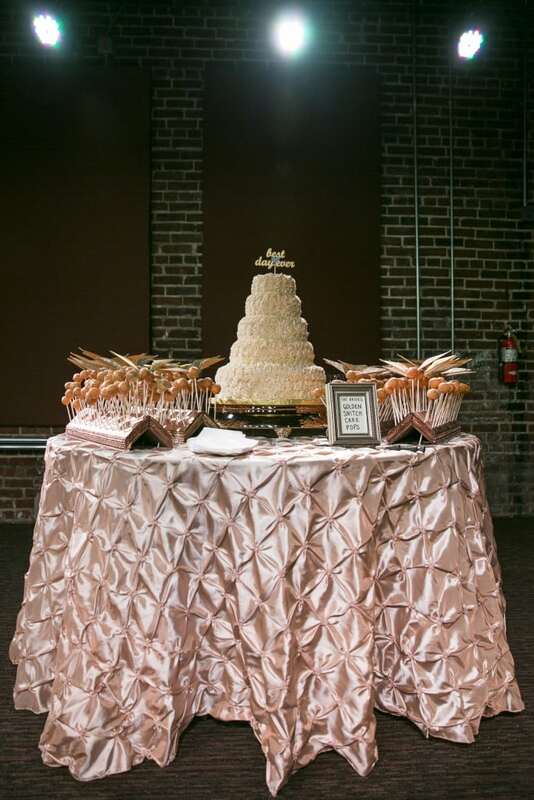 For Jessica’s cake table we decided to use a linen that was a little bit more fun, the Champagne Pinched Taffeta. 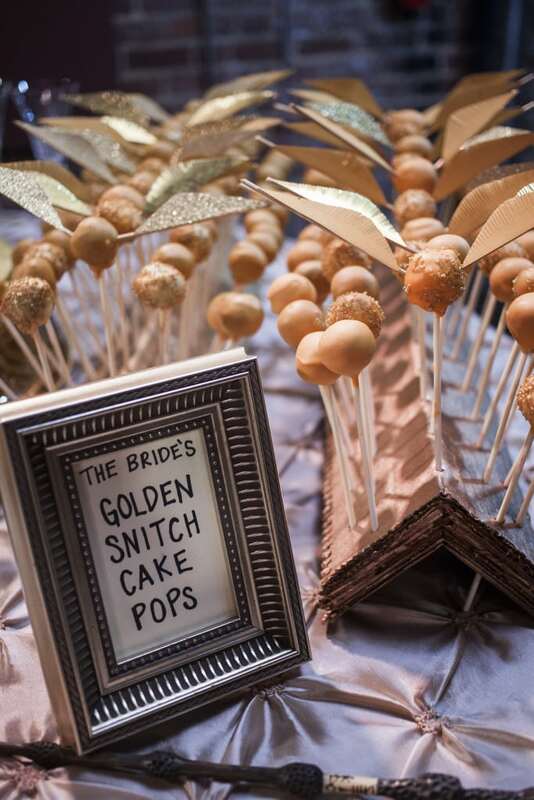 After all, she was having “Golden Snitch” cake pops along side her traditional cake. 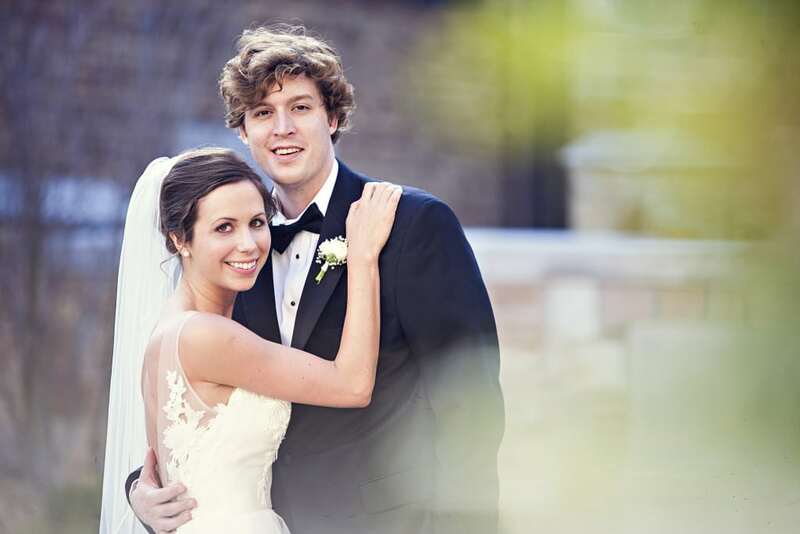 Read more about this beautiful wedding in the 2015 issue of Alabama Weddings magazine.